The land of Thunder Dragon , with its majestic mountains locked in the heart of the Himalayas is still perhaps the world's most exclusive tourist attraction. Bhutan often reversed as the 'Land of the peaceful Dragon' is still regarded as one of the last "Shangri-La" in the Himalayan region because of its remoteness, it's spectacular mountain terrain, varied flora and fauna and it's unique ancient Buddhist monasteries. It is relatively unexplored pockets of Asia , which allows only limited number of discerning travelers to enter the country with special travel visa permits. 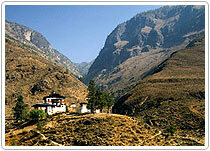 Bhutan 's isolation has resulted its culture and traditions remaining much the same for many hundreds of years. Our weekly departure allows you to experience the stunning beautiful alpine valley flanked by step slopes and terraced pastures dotted with temple. 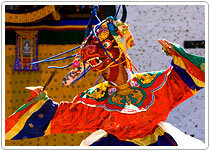 Festival (Tsechus ) are held in Bhutan through out the year at difffrent locations. 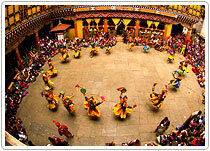 These festivals are celebrations of faith, legends, mythsand history of Bhutan in ancient rituals of colorful dance and music. 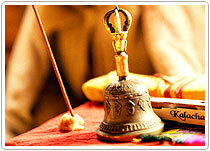 To coincide a visit to Bhutan during the festive season will be even better way to observe the unique culture. (f) Rabies pre-exposure vaccination. Please refer to your doctor for advice on whether you need rabies pre-exposure vaccination. In the unlikely case of your being bitten, this vaccination does not eliminate the need for urgent evacuation to a suitable medical facility for additional treatment,. However, it does simplify that additional treatment and also prolongs the period that you can safely delay before receiving post-exposure treatment. Given enough notice, your doctor will be able to administer all the above vaccinations.